Hectic, stressful mornings are a common complaint among families with young children. Several people trying to get up, washed, fed, dressed and out the door in less than an hour. It can feel almost impossible to get through the mornings without an outburst from a child or a parent. Many parents feel shame, guilt and disappointment that they need to repeat themselves or even yell to keep their child focused on the morning routine and out the door in time for work and school. The preschool years can be particularly difficult because this is the first time that your child has had to maintain a morning schedule and may resist giving up a slower paced start to the day. Schedules can feel arbitrary and difficult to understand for a toddler or preschooler, and parents can feel frustrated and angry when their child does not follow through with the tasks at hand. It is helpful to understand some of the factors that contribute to the hectic start to the day so that your family can make changes that will allow for a more peaceful morning. Most often, the end of a busy morning routine is met with a “goodbye” and separation between parents and children. This can be difficult for a preschooler who is just settling into school and learning to separate from Mommy and Daddy. Your child may not feel the same rush to get to school on time as you do because she is not feeling ready to say goodbye. This is a troublesome feeling to put into words for a young child or they may not even realize that they are feeling this. Instead, they will resist the morning routine and delay the goodbye as a way of communicating or acting out their struggle. It is helpful for parents to put the behaviors and feelings into words and reassure their preschooler that they understand and can help. It can be as simple as saying, “Mornings can be really tricky because there is a lot to do before we have to say goodbye at school and saying goodbye is still hard when we get there. Remember, I can read a book with you before you go into the classroom and I will be back to pick you up when school is finished. So let’s get those shoes on so we have time for that book”. It is also challenging to balance your morning schedule and needs with the needs of your children. Some parents have to check their emails or messages to help organize their day, but their child requires their full attention. Others want their morning coffee, alone time or even a shower before they can attend to their child’s needs. This can be impossible to do if you are all waking up at the same time. Many parents find it extremely helpful to wake up before their child so that they can have the much needed time to themselves to start the day. This can be achieved by setting your alarm 20-30 minutes before your child’s wake-up time, allowing you to turn on your coffee maker, check your messages and jump in the shower before you have to make breakfast, give repeated reminders about teeth brushing, and help with shoelaces. Families can also strategize together about how to make mornings easier. Ask your preschooler what she thinks about the morning…”Wow Missy, this was a really hard morning! You really didn’t want to get dressed and Mommy yelled too much. What do you think we could do so that tomorrow is not so rushed and hard”. The answer will probably not be a fully developed plan, but even short responses such as, “I don’t like to wear tights to school” can be very helpful. Planning together gives your child an active role in the morning and also some accountability. These are just a few ideas that can help families establish more manageable and successful morning routines. UWS Parenting Support works with families who need more specific and individualized guidance to restructure their mornings and help their child calmly and happily start their day. Please call or email to learn more or schedule an appointment. By mid September, most preschools have started their “phase in process” to help young children and parents transition to the school day schedule and the daily goodbyes that are a necessary part of being a student. Some schools begin the year with shorter sessions and invite the parents to stay for the first few days. Gradually, the day becomes longer and the parents are asked to say goodbye soon after they arrive. This “phase in process” is typically enough for most children to be able to separate from their parent or caregiver. However, some children need a bit more care and support to successfully say goodbye to their grown-up and feel confident enough to engage in and enjoy the classroom activities. This can be a very normal reaction to starting school and there are several tips that can help your new preschooler transition to school. Have a conversation with the classroom teacher. Share your concerns about your child and ask for feedback about what the teacher sees during the day. Help your child to develop a trusting relationship with one of the teachers in the classroom. This is often easier to achieve with an assistant teacher, because she may have more time to devote to an individual child than the head teacher. Find a teacher that has a style that is comforting and attractive to your child and try to spend time with your child and this teacher. Your child may then be able to use this grown up as a “bridge” between his family and school. A classroom can feel big and hard to navigate for a small child and finding a special grown-up can make it feel more manageable. Establish a short, consistent goodbye routine. This will depend on the rules of the classroom, but if you are allowed to enter the classroom, pick one or two special and quick activities that you can share with your child and then help them find their special grown-up to assist with the goodbye. Discuss the plan with your child before school and remind them of it each day….”Remember Tommy, Mommy is going to take you to school, we are going to draw one picture and read Thomas the Tank Engine and then Mommy is going to say goodbye. Ms. Johnson will be there to help you say goodbye and get ready for playtime”. Goodbyes are harder when they are prolonged because of the reaction of the child and a quick predictable goodbye routine is very helpful to preschoolers. 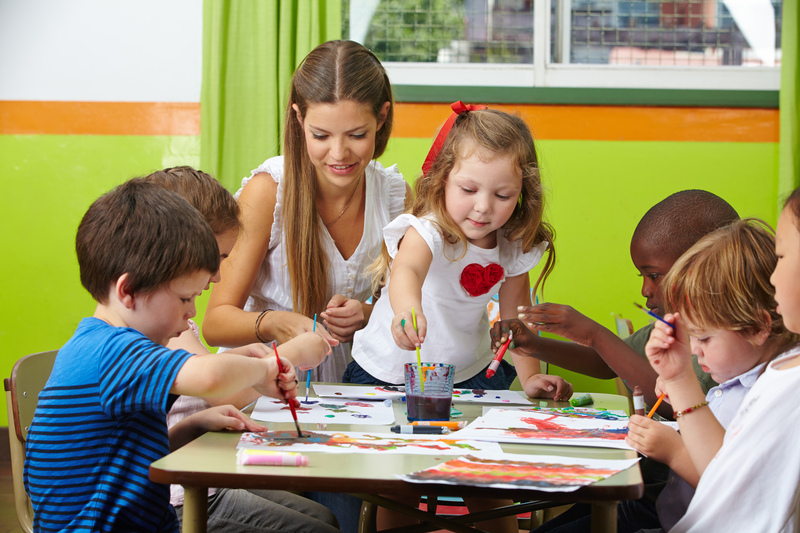 Limit afterschool activities until your child is fully adjusted to and engaged in school. It takes a tremendous amount of physical and emotional energy for young students to get used to going to nursery school. This is a time filled with new people, activities, routines and rules and the comfort of home will be very important to your little one. A few hours of nursery school is enough daily activity for most children and they will benefit from after school downtime at home and the company of their family and/or caregiver. In some families, goodbyes are easier, meaning less emotional and conflicted, with one adult than another. If this is the case in your family, and if your child’s struggles with separation are not becoming any less intense as the days go by, then it may be worth having the parent or caregiver who is able to hold on to a more neutral, less reactive stance be the one to drop the child off at school for a while. Each child has her own way of adjusting to new routines and separating from her parents/caregivers and some children need a longer phase-in period than your school has offered. Many schools and teachers are flexible and will support you and your child if you need more time to transition so don’t be afraid to ask. This and the above suggestions may be all that your child needs to get used to and become happy at school. UWS Parenting Support offers individualized support and guidance to families and children who need additional assistance with helping their child say goodbye, learn and have fun at school. Please email or call for more information or to schedule an appointment. September is approaching and your child’s first day of preschool is only a few weeks away. If your child has never been away from you and from home for several hours at a time on a consistent basis, you may worry about her adaptation to the big change about to occur. Will she like it? Will he be OK without me? Will he make friends? Will she follow the teacher’s instructions and behave appropriately? Will the teachers pay enough attention to her? Will he feel abandoned? Did I choose the right school? And you can keep going with questions of your own. The first big task of a new preschooler is mastering separation (see our article on Separation under Common Parenting Concerns). And, in parallel process, it is also the biggest task for the preschooler’s parents. Everyone can feel a little worried as they are facing this big milestone. Separation is an ongoing process that manifests differently at different stages of development and in different contexts. There is a huge range in the way that individual children and parents experience separation. The good news, however, is that most kids do adjust well to preschool and feel happy there, even those who have a harder time in the beginning. Toward the end of September we will post thoughts and tips to help if your child is struggling with separating during the early weeks of preschool. In the meantime, you may find some ideas and practical advice for getting your child ready for the transition to the world of “big kids” in the following article published by Zero to Three”. As you think about how to help your child, you will also be preparing yourself to entrust your child to the care of a new set of adults and a whole new community. Bear in mind that preschoolers have a limited sense of time and sequencing and therefore it is wise to not start talking about school too early. This article suggests two weeks prior, but for some children one week is enough. Do not overwhelm your child with too much information all at once, but rather present it gradually in manageable units. Please note that tips present practical advice that parents can try, but they are not a prescription for the “right way” to prepare your child. Only implement the tips that you feel will help you and your child. If you try something that feels uncomfortable, drop it. And allow yourself to adapt, improvise, and elaborate on these tips in your own personal way. If you think that you and your child need or could benefit from individualized help in preparing for school, please call us at 646-864-4270 or email us at uwspsemail@gmail.com. There are many reasons why parents leave their baby or toddler in the care of another adult. Some families have daily goodbyes when the grown-ups go to work while others have time away from their young child less frequently. Babies and toddlers can have many different reactions to being left in the care of someone other than Mommy or Daddy. Some are perfectly fine as their parent walks out the door or are even excited about the time they will have with the babysitter. Others may pout or whimper at the goodbyes, while many children become very upset and resist the separation by physically clinging on to the parent and crying. Even more puzzling to parents is the very common situation in which their child suddenly cries and clings desperately when Mom or Dad leaves him with the very same babysitter whom he greeted happily for months before. Going in and out of a “Mommy phase” or a “Daddy phase” is also typical for many children. Like their children, parents may have a range of different feelings about leaving their baby or toddler, including relief and excitement for having time to oneself or with one’s partner, guilt about having to leave for work or go on a trip, worry about leaving the baby/toddler in someone else care, and dread about the difficult goodbyes and tears as the child is left behind. Mastering separation is one of the most important developmental tasks of the first three years of your child’s life and every child goes through various normal phases during the process. We often first experience struggles with this during toddlerhood, but learning to cope with separation starts during the first months of life, even when you leave the room your child is in for a few moments. Parents can establish routines that help pave the way towards healthy separations. These routines will allow your child to develop trust that “Mommy and Daddy go away and they always come back”. Enlist the care of a trusted caregiver, friend or family member who is familiar to your baby/toddler. Spend time together with your child and this person so that they can develop a relationship before you leave. Prepare your child for the goodbye, but not too far in advance “Grandma is coming after you finish your snack and Mommy and Daddy are going to go bye-bye”. Talk to your child about what she will be doing in your absence. “Aunt Sara is going to give your bath, get you in your pajamas, read you Curious George and Goodnight Moon and put you to sleep after Mommy and Daddy leave. We will be here when you wake up in the morning. Always say goodbye and let your child see you leave. Some parents are tempted to sneak out to avoid the hysterics of a difficult goodbye, but this is not helpful. It can cause a child to worry that his parents can disappear at any moment, making it difficult to trust the idea that “Mommy and Daddy go away and they always come back”. Establish goodbye rituals. “Remember, Maggie is coming after breakfast. You and I can sing Wheels On The Bus and Twinkle Twinkle and then Maggie will bring you to the door to say goodbye.” Older toddlers may like to choose between a few routines, (2 or 3 choices are plenty). This allows them to feel some control over and take a more active role in the goodbye. Some children like to push their parents out the door themselves, turning a passive experience into an active one again. Make goodbye routines short. 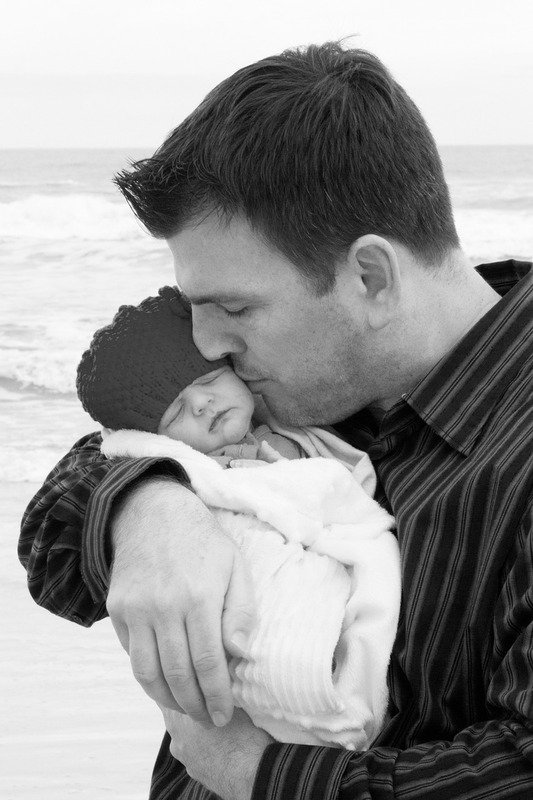 Drawn out goodbyes can lead to increased worry or upset for your baby/toddler. This often means prying your child from your goodbye hug and leaving them crying in the arms of the caregiver. For some children, the crying becomes a helpful part of the ritual and is not an indication that the goodbye is too difficult. Tolerating the crying and leaving with the confidence that she will be fine helps your child to trust this too, and minimizes the crying in the future. Play “goodbye games” with your toddler. The first of these games, starting at about 5 months, is Peek-a-boo. Playing lots of Peek-a-boo, which most children love and want to play over and over again, helps your child master the experience of seeing you disappear and re-appear in a playful and enjoyable manner. Starting at around 2, you can pretend that they are leaving you and you are feeling upset about their going. Many toddlers initiate this game themselves. They carry a pretend briefcase or pocketbook and pretend to leave for work or date night. This allows them to turn their passive role in most goodbyes into an active role and they are thrilled when the parent has a huge reaction to the goodbye. So pretend to cry and carry on as they leave and joyfully greet them as they return “from work” or their “Big night out”! The above tips are general ideas about how to help you and your child with separations and can be used for saying goodbye from home, school or daycare. Some children struggle more than most with separations and parents may need more support and guidance to find an individualized approach to helping their child master goodbyes. UWS Parenting Support works with families to support healthy separations and goodbyes. Many parents feel the need to have some time away from their children in order to relax, reconnect as a couple, enjoy uninterrupted conversations and other adult activities, or simply to catch up on sleep. Babies live by their senses. They know their caregivers’ faces, voices, how their bodies feel, smell and move, and the sequence of routines throughout the day. It is important for the environment to retain as much as possible of what is familiar to them during your absence. Leave your child with a trusted person whom your baby knows well. This is the single most important factor. Make sure that routines, such as the sequence of meals, naps, play time, bath time, and especially the bedtime rituals remain the same as when you are at home. Even though you may think your baby does not understand words, it is never too early to begin talking to him. Tell him you will be back, that he will be safe and well-taken care of while you are away. Tell the caregiver to talk to your child in this reassuring way as well. Be sure to say goodbye when the time comes. Do not stay away more than 2 or 3 days. If possible, start by taking an overnight trip and see how that goes. Many of the same principles apply to toddlers as to babies, except that toddlers are far more aware and have the added advantage of understanding and being able to use words. 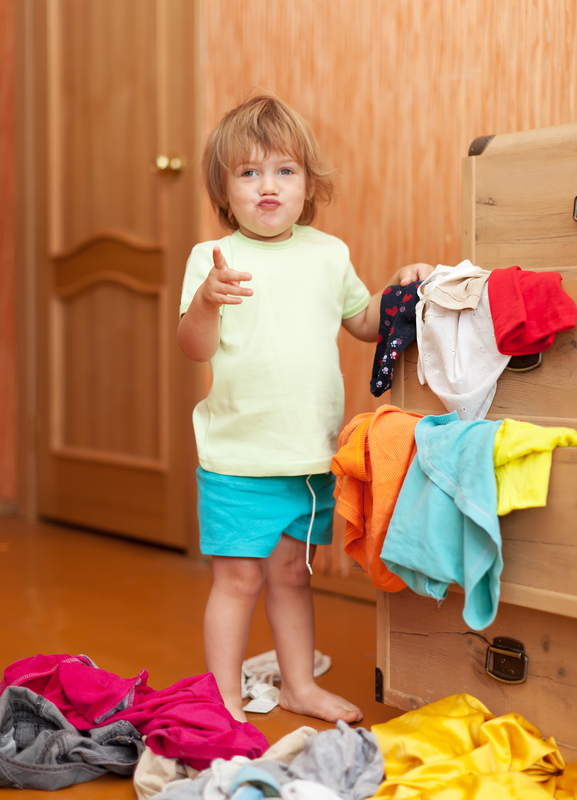 Tell your toddler you will be leaving on a trip without him. For young toddlers of 16 to 24 months, tell them the day before. Tell older toddlers no more than 2 to 3 days before you leave. Try and keep your toddler’s routine and environment consistent and familiar. Talk to her about what will be the same as always and also about the special activities that are planned for her during your absence. A book of pictures helps a child, especially a preverbal child, master an extended separation. This book can contain photos of you, your child, and the caregivers who will be staying with him. Or the book can tell a very simple story of what will happen and can be illustrated by hand or with photographs: saying goodbye; parent/s on an airplane or in a car; child with the person taking care of him; child in an activity with the caregiver; the return of the parent/s and reunion with the child. The child is at the center of the story, not the parents. Some children ask for the book to be “read” to them a lot, some carry it around like a transitional object, some ignore it completely. Any and all reactions are normal and typical. 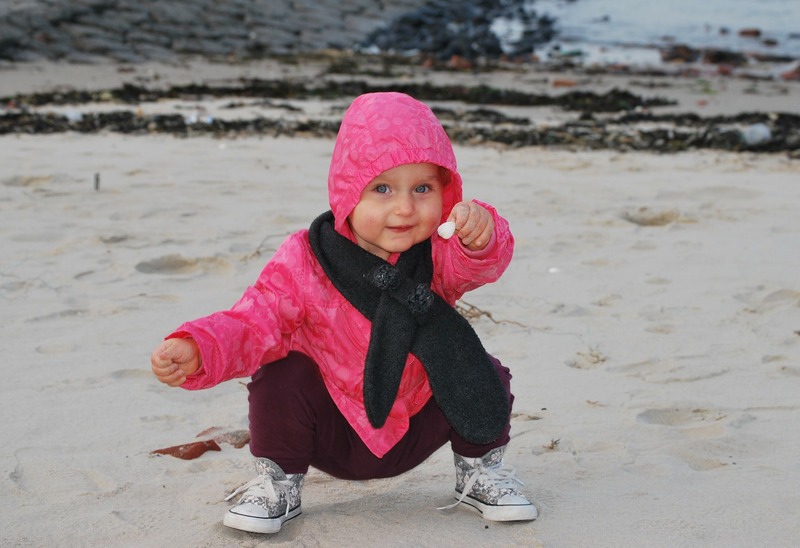 If you are going to be away for more than a couple of days, you can think about whether Skyping or phoning would be reassuring for your older toddler. If you do decide to call or to Skype, choose a time of day that will be least disruptive and upsetting to your child. If your child protests and cries when you explain to him that you are leaving, tell him you know that he is not used to your going away, but that he will be fine and you will be together again soon. It will help your child if you show empathy for her feelings in a calm and confident manner. Just because your child is unable to speak or “too young to remember”, separations from main caregivers and changes in environment do have an impact that can be lasting if they go on for too long. Each baby will react in his and her own way to the separation. Do not be fooled if your child appears not to notice that you were gone, some children’s reactions are more subtle than others’. The amount of crying or the absence of crying is not an indication of how well the separation was tolerated. If your child turns away from you when you return, do not take this as a personal rejection or a sign that he or she is angry at you. It takes many babies and toddlers a little time to shift away from one caregiver back to another. This has more to do with cognitive development than with feelings about your absence. You can read further about separation on our website uwsparentingsupport.com under Common Parenting Concerns. *Please note: There are some circumstances that cannot be addressed in this post in which leaving your baby or toddler even for two days may not be advisable. You can consult one of our parent-child experts if you have concerns about leaving your child. Most toddlers, contrary to infants, understand and use language to communicate, but the degree to which they understand and express themselves with words varies greatly. You can and should therefore help your toddler or preschooler by explaining things to her in words, bearing in mind that children at this stage of development are very concrete and immersed in the present moment. Here are some suggestions that will help prepare your toddler for traveling and for being away from home. Tell your child about your trip only a few days before you leave. Young children are unable to understand time as adults do and the anticipation of a trip that is several weeks away may cause anxiety. For example, a two and half year old cannot understand what 3 weeks really means and he may think that your date of departure is the day after you discuss the trip. This will result in 3 weeks of repeatedly having to answer the question, “Are we leaving today?” This open-endedness can feel unsettling to a small child. Pack portable, familiar comforts from home. 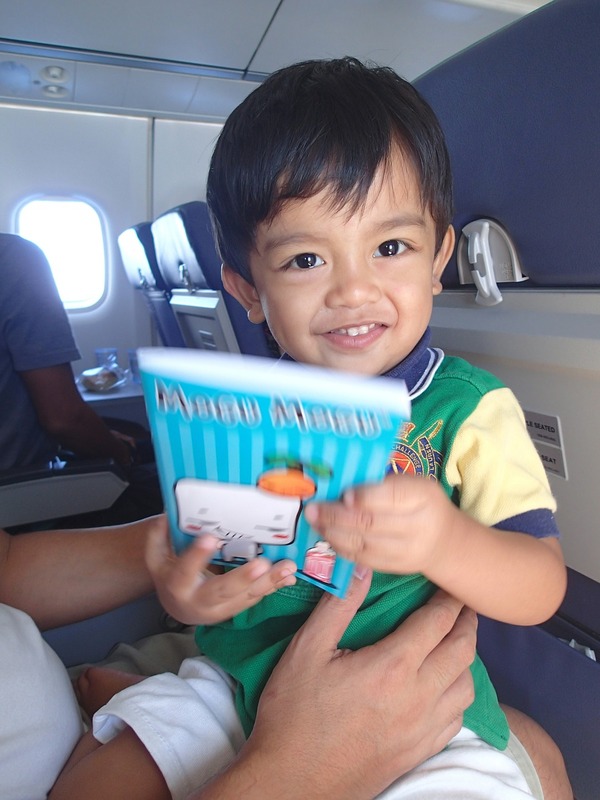 For most children, trips are easier to enjoy when they have their favorite snacks, books, toys and transitional object such as a blanket or lovey. Pack a bag with fun activities and games to help pass the time on long trips or in restaurants. If possible travel with only a backpack so that you have both hands free for attending to your child. Prepare your child for what will be new and different. A day or two before your trip use simple language and pictures (when possible) to discuss your trip with your child. Talk about who you will see, some of the activities you will do and where you will stay. Reassure your child by discussing what will be the same as at home when you are traveling. Vacations provide a much needed break from our daily routines, but this can be unsettling to toddlers and preschoolers who are comforted by predictability and repetition. Knowing what will remain the same will help manage your child’s reaction to the change. For example, let him know that you will all be together and that “you will still have your cheerios for breakfast”, “naptime in the afternoon (but some days in your stroller)” and “3 books before bed, just like at home.“ You may need to go over and expand on these familiar and reassuring routines more than once before you leave as well as during the trip. Children are not always able to verbalize or identify what is hard for them and parents need to interpret certain behaviors as communications that something doesn’t feel right. Increased whining, clinginess or tantrums, change in sleep patterns, resisting transitions, and changes in eating habits can be signs that your child needs more support and attention during your trip. If she is having a hard time, you can tell her, “I know that trips can be hard and not always fun and I am going to help you”. Then slow things down and try to allow for more quiet time for your child to relax and recharge during these busy days. Making adjustments or changes in routines so that your child feels comfortable during the trip is perfectly normal. Routines can be regained when you return home. There will be an adjustment period, but it will not be a permanent change. Remind your child that you will be returning home soon to what is familiar. The holidays are here, and for many families this means vacations and breaks from your child’s typical routine. This can be a special time to have new experiences and create new memories, but it can also be stressful for young children who rely on the predictability of their daily routines and home environment. Luckily, there are several ways to ensure that a trip or break can be fun and relaxing for you and your child. Follow us for our 3 part travel series: Traveling With Your Baby, Traveling With Your Toddler, and Traveling Without Your Child. Start small – If this is your first time traveling with your baby, consider a short getaway that does not involve long travel times and/or demanding schedules. Weekend trips to visit friends or family or car travel can be ideal to practice being away from home and provide a necessary break from your daily routine. If your baby sleeps in a crib, check that your accommodations include a crib for your baby and consider bringing his/her own bedding or something familiar to his/her sleep environment. Try to adhere to important routine and schedules when planning your itinerary (feeding, naps, sleep, playtime). This predictability will be comforting to your baby and will help ease the transition back to your home. Allow flexibility if your child has a reaction to the different environment and routines of your trip. Your child may need more emotional support and physical closeness to tolerate the newness of your vacation. (For example, babies who typically sleep alone might feel uncomfortable in a portable crib and may only sleep in bed with the parent.) This is perfectly normal and routines can be regained when you return home. There will be an adjustment period, but it will not be a permanent change. “Am I getting a shot today? asks your child when you tell him you are taking him to the doctor. How should you answer this question if a shot is in fact on the schedule? Hoping to allay a child’s fear of doctors and injections is what motivates many parents to deny or to sugarcoat the truth by claiming that there will be no shot or that shots don’t hurt. Truthfully, shots do hurt and having one’s skin pierced by a needle is a frightening event. For a child who worries and questions, it will be more helpful if her feelings are acknowledged and if you articulate the truth in a manageable and reassuring way. 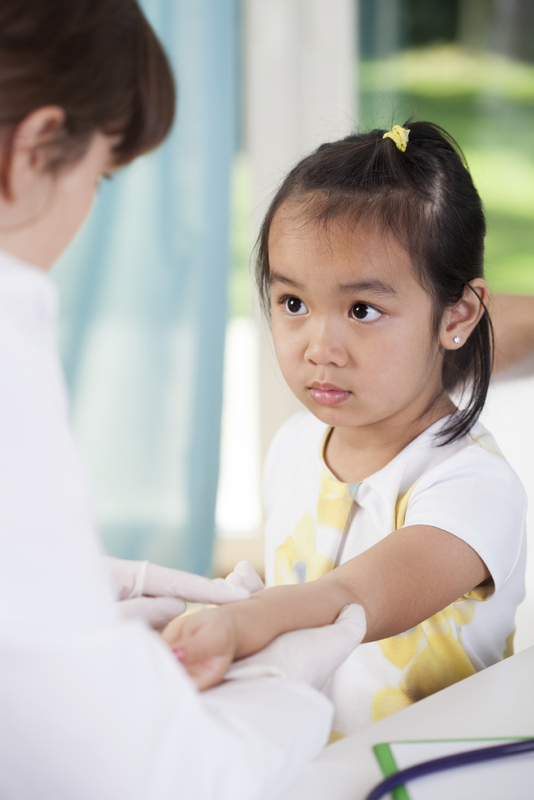 Tell your child about going to the doctor on the day of the appointment. Too much advance notice allows for an unnecessary build-up of anxiety. Tell him that when he gets the shot, he will be sitting on your lap, he can squeeze your hand or hug his favorite toy or blanket while you count ‘1-2-3’ and that by ‘3’ it will be over. If your toddler is still very frightened, acknowledge that the shot hurts for a minute and then focus on a fun thing to do immediately afterwards. Do not over-explain or talk about the appointment for too long. If your child keeps going back to it, tell her in a reassuring and firm voice, “It’s going to be OK, I am going to help you.” And then direct her to some distracting game or activity. Children are very attuned to their parents’ state of mind. They look to their parents’ nonverbal language to get cues about the situation they are in. If you are tense and anxious about your child’s reaction to the shot, your child will not be able to remain calm, so try and stay relaxed and remind yourself too that it’s just a little prick and will be over in a couple of seconds! If you don’t already have one, you can buy a doctor’s kit and play with your child, using yourself and/or dolls as the patient. Toddlers usually like to play the role of the doctor or take turns being the doctor. When your child gives you a shot, make sure you say “ouch!”–you can even pretend to cry a little. (Children love that part!) Your child may then comfort you and tell you it will pass quickly. And you do recover quickly of course and tell him that you are “all better now”. Playing a scenario allows the child to master the experience while having fun. Using these tips in order to present the truth in a manageable form builds trust between your child and you and helps him identify and accept his feelings. **If you or your child is in or has gone through a complicated or traumatic medical situation, these tips may not meet your specific needs. In this case, we suggest that you contact us to schedule a consultation so that we can address your questions and concerns on an individual basis. 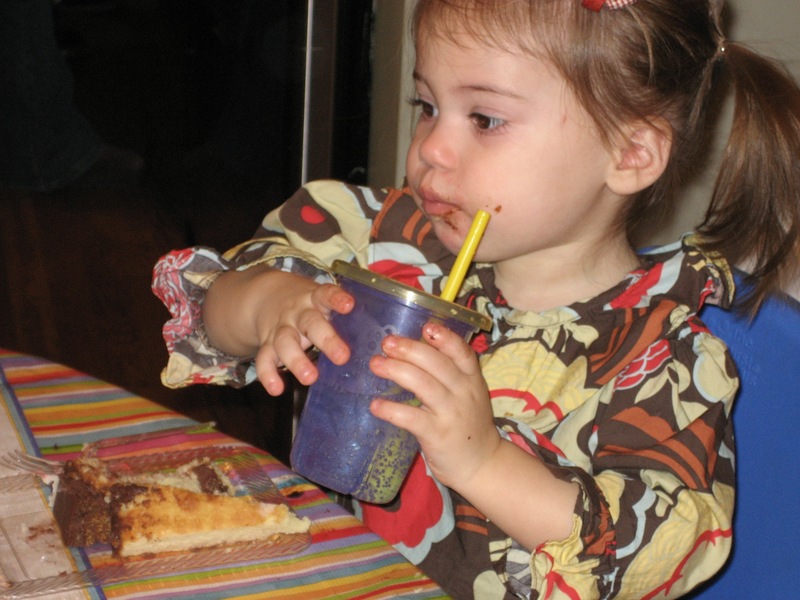 Messy mealtimes: does your child drop food from the high chair? Often a child, observing an accidental spill, becomes interested in studying and mastering gravity by watching various foods fall down in different ways. With very young children, ages 9 to 12 months, you can simply remove the food from the tray and provide a distraction. Make sure that, outside of meal times, your child has plenty of opportunities to safely practice dropping, throwing, and dumping with balls and other soft toys and objects that will not break. These “science experiments” foster cognitive and motor development and can sometimes turn into fun back and forth games with another person. At other times, dumping or throwing food can be a communication. Depending on how this is handled, the behavior can taper off or can escalate into a power struggle. You can respond to the behavior according to what you think your child is trying to tell you. 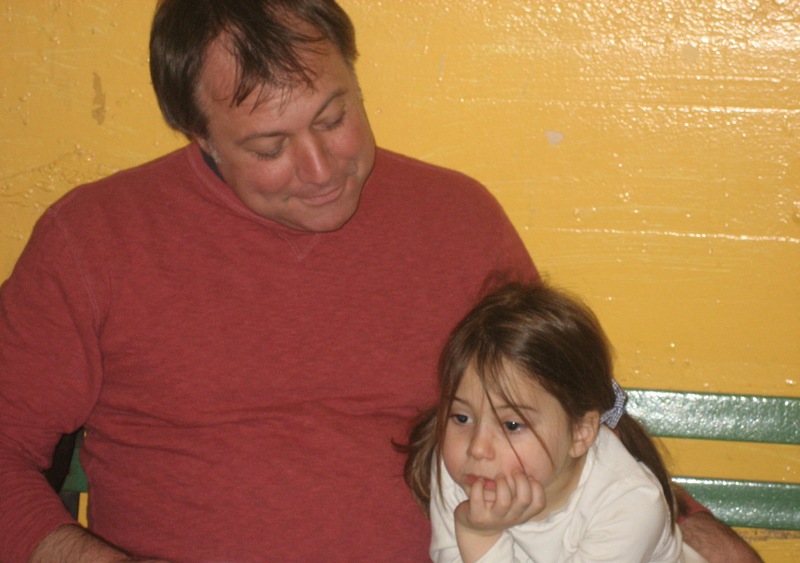 If you think your child is bored, you can sit and interact with her as she eats, thereby focusing on a positive engagement. If you think your child doesn’t like the food, you can say in a neutral tone, “I don’t think you like that” and provide another option. Again, if your child is able to express himself verbally, you can suggest that he say, “I don’t like it” rather than throw the food. From about 15 months on, throwing food can become a testing behavior, especially when your child has seen you get angry and wants to see how you will react if she does it again. This can feel very exasperating, but again, if you can stay neutral, the behavior is likely to decrease. You can say to your “testing” toddler in a matter-of-fact tone of voice, “I think you want to see what I’ll say if you do that…we don’t throw food and dinner is over now”. If your toddler insists that she is hungry, you can say, “Okay, if you are hungry and are going to eat, you can stay in your high chair,” but if she throws food again, say “ all done” and take her out immediately. Try to do this using a calm voice and body language. IF PARENTS AND CAREGIVERS FOCUS ON THE NEGATIVE BEHAVIOR BY SCOLDING OR REPEATING STERNLY “NO THROWING FOOD!”, THE UNDESIRABLE BEHAVIOR TENDS TO ESCALATE. Place the highchair over a mat or on a floor that is easy to clean. Stay away from tomato sauce and give your child a few pieces of food at a time. Sit with your child and engage with him. This will distract him and allow you to grab the bowl before it’s dumped. This will spare you and your child the anger you will feel when you have to clean up a mess. Family meals will become important when your child is older, so sitting down with him now while he is eating is good practice and will have a lot of meaning for the future. Upper West Side Parenting Support helps mothers and fathers in their transition to parenthood through family consultations and discussion and play groups. Our parenting experts address child development, behavior challenges, and common parenting concerns, such as sleep, eating and tantrums. 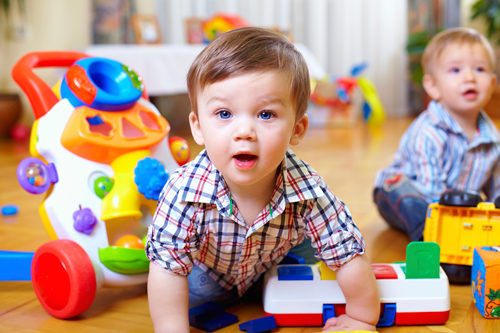 The Dreaded Play Date: Why won’t my toddler share his toys? Does your toddler clutch his toy tightly when you suggest he share it with another child? Does she shake her head vigorously and say, “No! Mine!” Or worse, does she push or hit a child who reaches for the toy she is holding? And then embarrass you further by taking another kid’s toy after refusing to share her toy? Many parents we work with have these concerns. Developmentally speaking, toddlers are not able and should not be expected to share. Sharing is a concept that starts to make sense to children sometime between the ages of 3 and 4, when collaborative play and the capacity for taking the perspective of another person are emerging. From birth to age 3, children’s main developmental task is to acquire a sense of self. A child’s play and his toys constitute a huge part of his identity. Tommy all alone in a vacuum has no sense of himself, but “Tommy rolling a truck” or “Tommy digging with a shovel” gives Tommy a sense of who he is, of what he likes, of what his purpose is in the moment. If that tenuous sense of self is threatened or disrupted, Tommy will be upset and resist. If, on the other hand, a toy in the hand of another child appeals to him, he will try and take it. Parents complain that their child only wants a toy if another child is using it. That’s right! The picture of the other child using that toy looks good to him and he would like to have a similar experience. During the waiting time, stay with the child and help her by telling her that her turn is coming soon. Usually the child who has the toy will hand it over spontaneously before the counting or singing is up. If she does not, the toy will have to be pried out of her hands with the guarantee that she will get it back shortly. The sequence is repeated as long as both children are interested in using that toy. The advantage of this system is that children experience immediately and repeatedly that handing over a toy to another child does not mean losing that toy. Many children enjoy the turn taking, not only because they anticipate having another turn, but because it becomes a game, a fun form of early socializing. Do not shame your child for negative behaviors, but rather focus on what you can do to help your child achieve his or her goals.